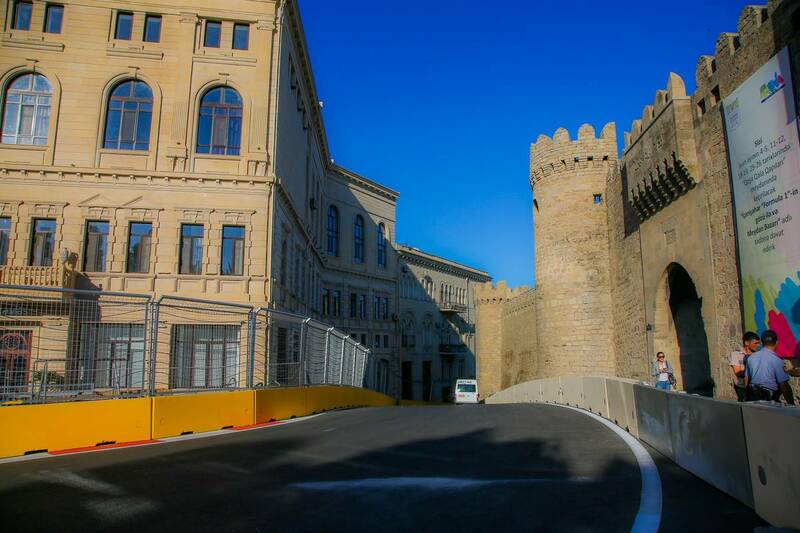 Baku city circuit at turn 10 with the castle. 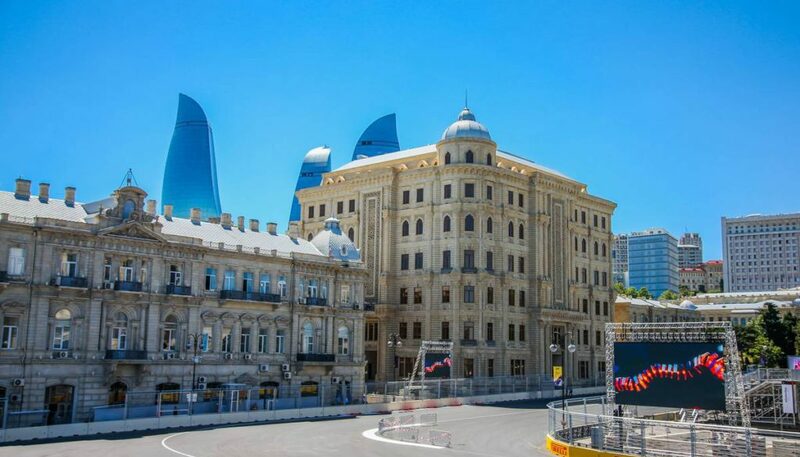 The European Grand Prix is at brand new venue held at the Baku City Circuit in Azerbaijan. It’s one that the teams and fans are really looking forward to, mainly because no one really knows what to expect. It will be a street circuit and the feedback so far is that it’s a little bit like Valencia (where it can be very wide with a long start/finish straight) and a little bit like Macau (with its very tight up hill section). The drivers will have already done some laps in their simulator and it does look challenging. The teams will also have some idea of what to expect and should hit the ground running with a base setup to work from. 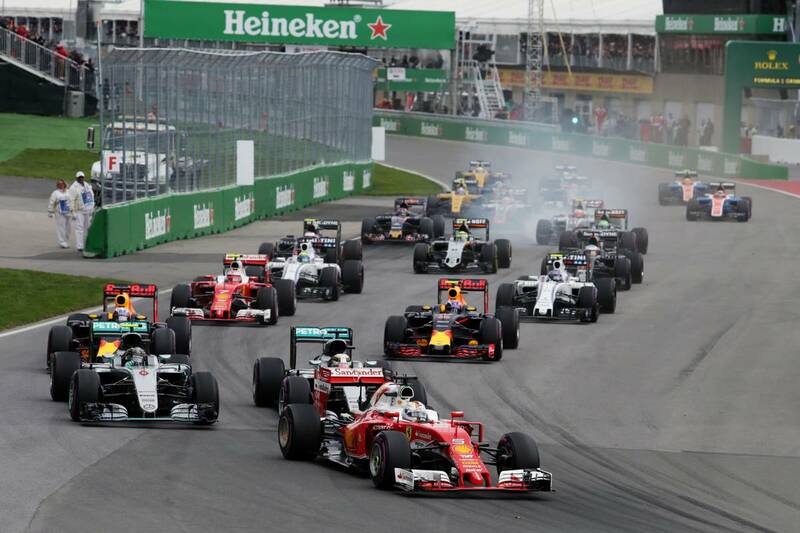 The Canadian Grand Prix last weekend was an intriguing race to watch. Sebastian Vettel looked to have control after that great start vaulted him into the lead. Ferrari then decided to stop early and go for a two-stop race. 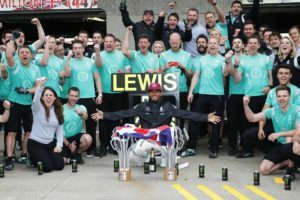 It gave control back to Lewis Hamilton who then managed a one-stop strategy for the win. Sebastian Vettel (GER) Ferrari SF16-H leads at the start of the race. 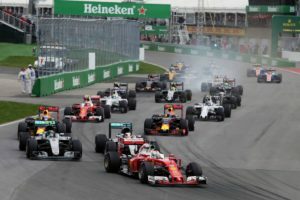 From the outside it certainly looked like Ferrari messed up their strategy to give Mercedes the win – just like they did in Melbourne. It’s hard to know for sure as I think Hamilton had the pace to win no matter what strategy Ferrari had chosen, but for sure to cede track position so early in the race was risky. 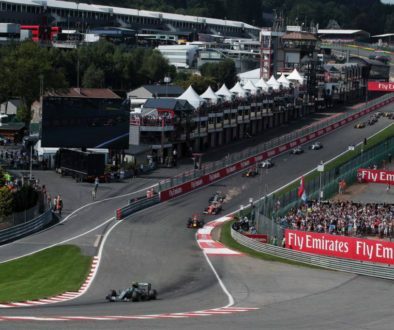 Track position in F1 is key, even on a track like Montreal where it’s relatively easy to overtake on. 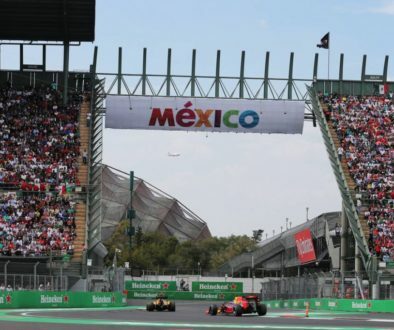 The other main thing to come out of the race was that Hamilton is now only nine points behind his teammate, Nico Rosberg, in the championship hunt. As far as I’m concerned you might as well say they are tied on points. It’s anybody’s championship this year. From now to the end of the year, it’s all about who is fastest on the track, and who can make the best starts. 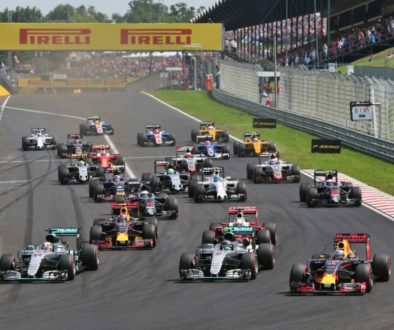 Race craft will be a distant third in importance on which of the two Silver Arrows will win the title. 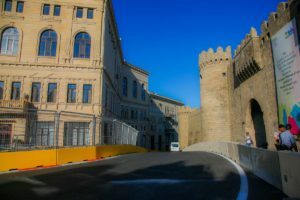 Baku is not Montreal however and it should play back to the strengths of Red Bull. Might be enough even for them to challenge for the win, although that long straight will hurt them to a certain extent. We should see Red Bull as comfortably the second fastest car this weekend, with Ferrari snapping at their heels. Race winner Lewis Hamilton (GBR) Mercedes AMG F1 celebrates with the team. Further back Williams look a lot stronger. Perhaps not enough to edge back into the top three battle but at least comfortable enough to hold on to forth in the pecking order. Behind them, the fight is pretty fierce with Mclaren, Torro Rosso and Force India very close indeed. But let’s not forget it’s a brand new track with plenty of work to be done by the teams to get on top of its challenges. So I would not be surprised to see some unexpected performances this weekend.